People may find it hard to buy a house for many reasons. If you don’t have enough cash to purchase a home then you’ll definitely need to qualify for a mortgage. However, getting a loan to buy a house can be a very difficult task particularly if you have never done this before. A lender is likely to decline your loan application if you don’t have a good credit score at the moment. Also, if you are applying for a mortgage then you must have cash for a down payment. Obviously, you shouldn’t fall into despair if you can’t buy a home in a traditional way these days. As the saying goes “nothing is impossible”. A solution exists! In this case, you should definitely try to take advantage of so called a rent to own house agreement. What is great about a rent to own house contract is that this type of agreement gives buyers a splendid opportunity to get their finances in order or improve their credit score. After that, buyers will be able to qualify for a mortgage to buy a home. However, the most important thing about a rent to own contract is that the certain percentage of your monthly rent payment is credited to the purchase. It’s crucial for you to know that rent to own house process consists of several stages such as establishing a rent to own contract, renting a house and buying a house. In this blog, we’ll talk about every aspect of a rent to own contracts. So, you’ll get an understanding of how to benefit from a rent to own agreement to buy your dream house. A buyer and seller need to establish a rent to own agreement. Rent to own contract gives buyers an opportunity to purchase a house at the end of the lease. It’s crucial both for a buyer and a seller to establish a rent to own contract correctly. The contract needs to be vetted by a real estate attorney prior to signing. 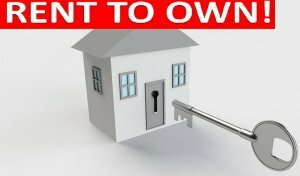 There are many important things that you need to know about a rent to own contract. It all begins with paying an option money fee. Actually, option money is some kind of down payment. Buyer and seller have to decide how much money needs to be paid up front. In most cases, a buyer pays 7% of the purchase amount. However, as we have already said an option money fee is negotiable. It’s important to point out that option money is non-refundable fee. That means that if a buyer refuses to purchase a property in the future for some reasons then he/she will lose his/her money. The purchase price of the home is the most important element of a rent to own contract. If you establish a rent to own contract then you are likely to buy a home at the price that’s higher than real estate market prices. It’s no surprise that the situation in a real estate market is always changing. And of course, it’s hard for sellers to determine the purchase for their properties at the beginning of lease. That’s the reason why the purchase price of the property is usually determined when the lease expires. However, the information of how and when the purchase price for a home is determined needs to be included in a rent to own contract. A buyer and seller also have to agree on such things as lease term, amount of rent and rent credit that applies toward the purchase. In addition, a rent to own contract can specify maintenance and repair requirements. When a rent to own contract is established a buyer and seller need to decide who will pay property taxes, insurance costs as well as homeowner’s association fees. Once a rent to own contract is signed, a buyer can move into a house right away. So, a buyer has to rent property until the lease ends. After that, a buyer will be able to purchase a property. It’s important to note that the lease usually lasts a fixed term. According to the statistics, rent usually lasts from 12 to 36 months. A buyer and seller need to agree on the amount of rent. If you choose to deal with a rent to own agreement that you must be ready to pay a higher rent. This can be explained by the fact that a certain amount of rent payment is credited to the purchase. As it was mentioned above, the certain percentage of each monthly rent payment goes towards the purchase price. That’s why rent price is usually slightly higher comparing to the current market rental rates. The statistics shows that about 25% of rent goes towards the purchase price. Above all, a buyer may also be responsible for property maintenance tasks as well as getting house repairs done. That means that if you choose to take advantage of a rent to own house agreement then you’ll have to mow the lawn on the property, keep a property clean and pay for any types of repairs (such as replacing a damaged roof, gutter repairs and so on). However, if you are planning to become a homeowner then it makes sense for you to invest some money in improving your property. When the lease ends it’s time for a buyer to purchase a property and turn from a tenant to a homeowner. Keep in mind that the option money fee (also known as down payment) as well as the certain percentage of rental payment will be deducted from the purchase price. After paying the seller in full, a buyer becomes a homeowner. Obviously, a buyer shouldn’t delay with a purchase! The reality is a buyer will lose the right to buy a property if the option expires. If you are interested in a rent to own house in San Antonio area, contact us today. At Anchored Sunshine, LLC we are always happy to provide cost-effective solutions to any of your rent to own house needs!